May 3, 2006; San Francisco, California; Known for its tourism and popular Ferry Building, the Waterfront District in San Francisco is in for a cultural treat with a musical new tenant. A new performing arts nonprofit organization, FerryMusic, has formed in downtown San Francisco to present the finest local and international live chamber classical and jazz music. Located onboard the historic 1927 Ferry Boat “Santa Rosa,” which is permanently docked along San Francisco’s restored Embarcadero waterfront, FerryMusic offers music aficionados an exceptional experience of world-class music, fine cuisine and unparalleled bay views. For its first jazz concert, FerryMusic is proud to feature vocalist Clairdee with the Ken French Trio. 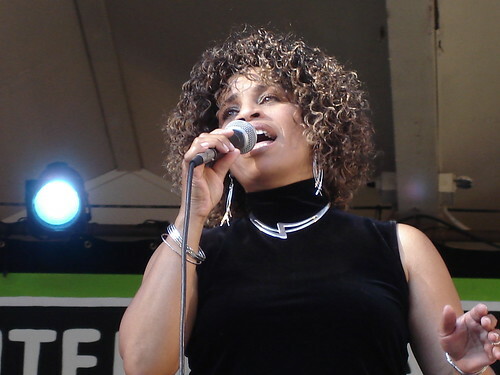 Known as San Francisco’s sassy and soulful vocalist, Clairdee has gained a national reputation following explosive performances at the 2005 Monterey Jazz Festival and the January 2006 IAJE Conference in New York. Vocal jazz luminary Nancy Wilson says of Clairdee, “In the tradition of all great vocalists, Clairdee infuses each song with her own unique style while always remaining true to the song itself.” Clairdee’s dynamic style combines with her natural grace and humor to make each performance an exhilarating celebration. FerryMusic’s first jazz concert follows roughly one month after its first successful classical music concert, which featured the San Francisco String Trio with the renowned Ives Quartet on April 30. FerryMusic organizers hope to eventually present classical and jazz events on a weekly basis and offer education programs including free pre-concert lectures and collaborative projects with local schools and music institutions. Tickets are available for the May 26 concert featuring Clairdee with the Ken French Trio at $30 for the 8:00pm show, and $15 for the 10:00pm set. For ticket information, patrons may contact City Box Office at (415) 392-4400 www.cityboxoffice.com and are encouraged to purchase tickets early. Parking is available on Pier 3 near FerryMusic and the Ferry Building, and FerryMusic is accessible by all means of public transportation. This entry was posted on Wednesday, May 17th, 2006 at 5:30 pm. It is filed under Music News/Info. You can follow any responses to this entry through the RSS 2.0 feed.